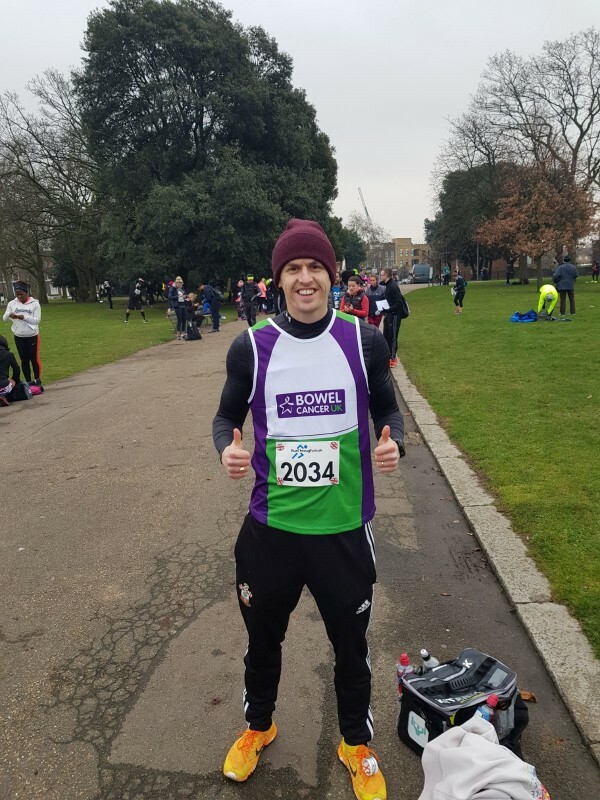 As a keen runner I decided, like many a good way to raise some money and awareness for charity would be to run a marathon. But as a keen runner I also thought, everyone does that, I’ll do something different. 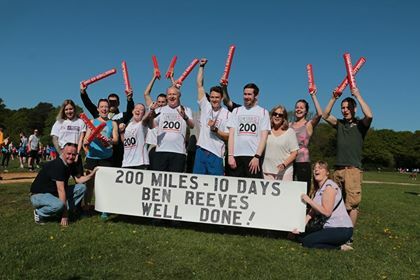 So, I have completed a 200-mile run from Chester to Southampton from Thursday 26 April – 5 May and have raised over £5,400 for Bowel Cancer UK and Beating Bowel Cancer. It’s the second biggest cancer killer to affect many across the UK and beyond. I aim to raise awareness of the illness and to help the 268,000+ people living with bowel cancer in the UK. Bowel cancer can be treated much more easily if it’s diagnosed early. Hopefully this will prompt people to see their doctor if something doesn’t seem right. My 322-kilometre route started in Chester, where my father was born. 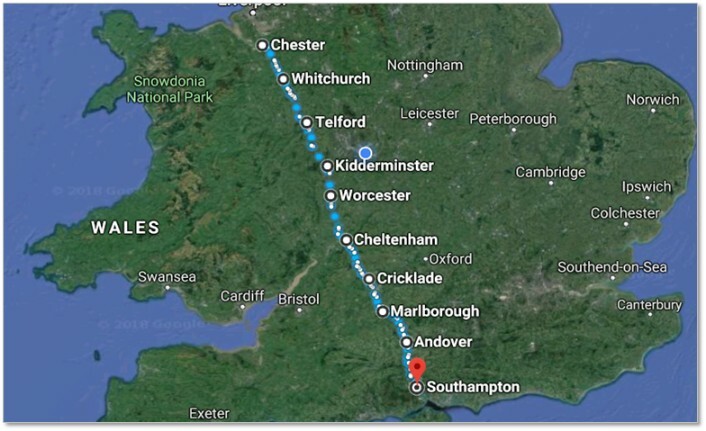 Along the way, I ran through Whitchurch, Telford, Kidderminster, Worcester, Cheltenham, Cricklade, Marlborough, Andover, before finishing in my hometown of Southampton. I ran through over 30 towns and cities, crossing 7 counties to reach my destination. It took more than a quarter of a million steps to complete the journey. I burnt over 5,500 calories most days with over 7,000 on Saturday 28 April when I did 31 miles. A couple a wrong turns/lost phone battery meant I ended up totalling 205 miles across the 10 days with 202 done in 9! Many have already shown their support for my undertaking on my JustGiving page. My employer TotallyMoney, have been incredible in the support and encouragement offered, and have donated £500.